Surrounded by lush forests, hillside bamboo and endless mountains, crystal blue Sun Moon Lake is Taiwan's most visited attraction. Blessed with more than natural scenery, the area offers a plethora of culturally rich temples, shrines, pagodas and other monuments, accentuating the area's natural beauty. Artists and poets have attempted to capture this enchantment for centuries, and our two day Sun Moon Lake excursion offers you a chance to do the same. We'll explore, hike, cycle, and boat through the history, culture, and scenery of this most enchanting place. On the way there, we’ll also visit a few spots in the beautiful mountain town of Puli (including the famous Paper Dome Memorial). And on the way back to Taipei, we’ll stop in Taichung to visit two of the city’s most important artistic venues. All in all, it's two days we promise you won't forget. Leaving Taipei, we'll drive directly to the mountain town of Puli to visit the well-known Paper Dome, a memorial to both Taiwan’s 921 Earthquake in 1999 and the Great Hanshin Earthquake in Japan. Afterward, we’ll visit a paper factory to learn the traditional way of making paper. We’ll then head to Sun Moon Lake and take a boat across (or cycle partially around, depending on the group) the lake. As the sun sets, we'll settle into our hotel before going out to dinner. In the evening, wander the town eating snacks and hanging out with locals and fellow travelers alike. After breakfast, we'll take an early morning hike up Mt. Maoling to get a full overview of the lake itself before heading down to spend more time exploring the area around Sun Moon Lake. In the afternoon, we'll head to Taichung City to visit two distinctly unique outdoor art areas before heading back to Taipei to get you back to your hotel in time for a late dinner or early nightcap. This is one of the most gorgeous places I've ever seen. The environment, the atmosphere, the biking around the lake, everything just perfectly completes my trip in Taiwan. Apart from the nature, the tour also consists of the cultured part, the village we visited was also amazing and the tour guide was able to give a rich knowledge of Taiwan aboriginal history. Overall a great tour, well planned, definitely worth the price! Will certainly contact you next time visiting Taiwan. We are a family of 4 and chose MyTaiwanTour to help us with tour to Sun Moon Lake during our short stop in Taiwan. The entire booking process and customer service was very professional and efficient so we went on the tour with everything well prepared. Sun moon lake is absolutely incredible, wonderful scenery around the lake and local shops and restaurants in Nantou. This tour ensures us to enjoy the most in 2 days and Kelly, our enthusiastic tour guide, was so friendly and full of passion all the time. She was always thoughtful enough to take notes of all our needs. We never felt rushed so I would say the tour was conducting in a very proper and comfortable way. Thank you MyTaiwanTour for setting up this tour for my family to see the central beauty of Taiwan. Will certainly contact you next time visiting Taiwan. Love it! Great tour, nice hotel, the tour guide was also very friendly and knew how to accommodate our needs. Highly recommend this tour sun moon lake is just way too breathtaking. Must go place when paying visit to Taiwan. My family just returned from our trip to Taiwan. Start from the very beginning, My Taiwan Tour has shown excellent service. Although there were 11 of us age ranging from 9-74, each one of us had the best experience in Taiwan. The trip was designed so professionally that the younger one do not feel bored and yet not too tiring for the elder one. The hotel was very nice and truly provided a relaxing and comfortable spot for us after a long day. Also our tour guide Ms Fiona was being so helpful throughout the entire tour. Everything was well taken card of, despite the large size of group, Fiona was always making sure we were having good time. 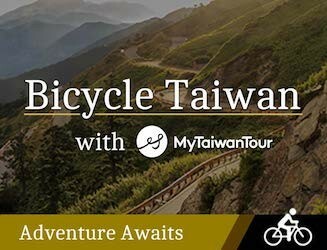 I would highly recommend My Taiwan Tour to anyone who has been or has not been at all to Taiwan because they make your trip pleasantly unforgettable! 79 people have browsed this in the last week.